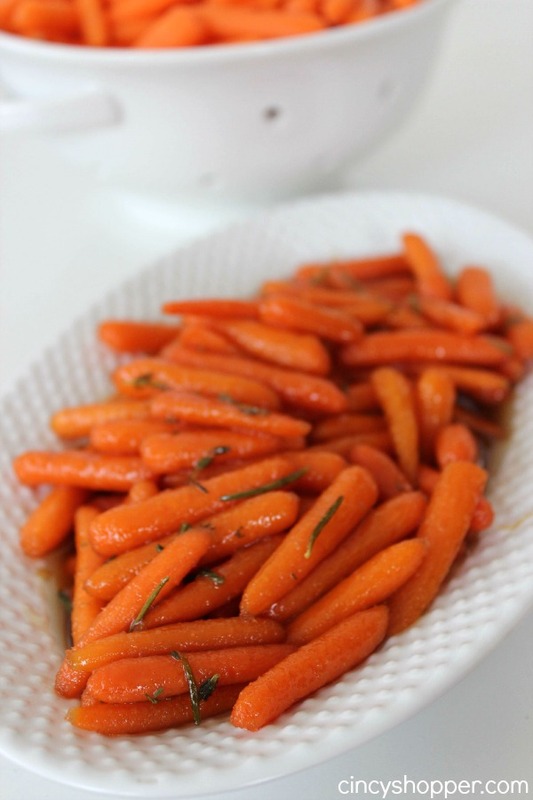 This honey glazed Carrots recipe is so simple but really delish. 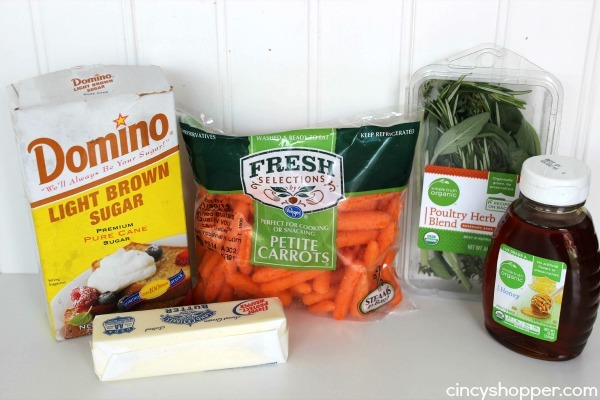 Perfect for a Thanksgiving, Christmas or any day side dish. Lots of great flavors of honey, brown sugar, butter, and thyme! 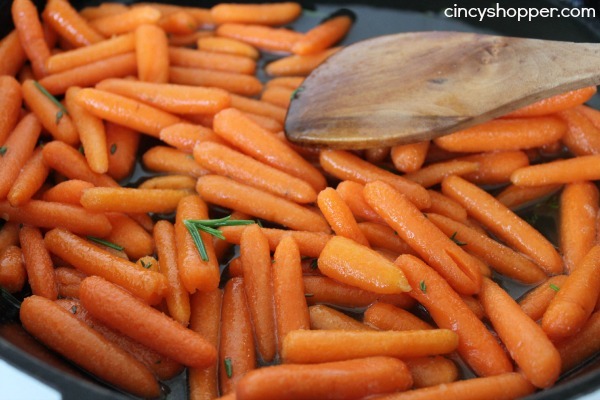 All of our kiddos really like carrots. Convincing a few of them to eat any other vegetable is like pulling teeth. 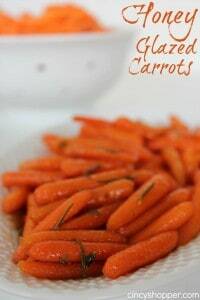 So this carrots recipe is one of our “go to” side dishes. 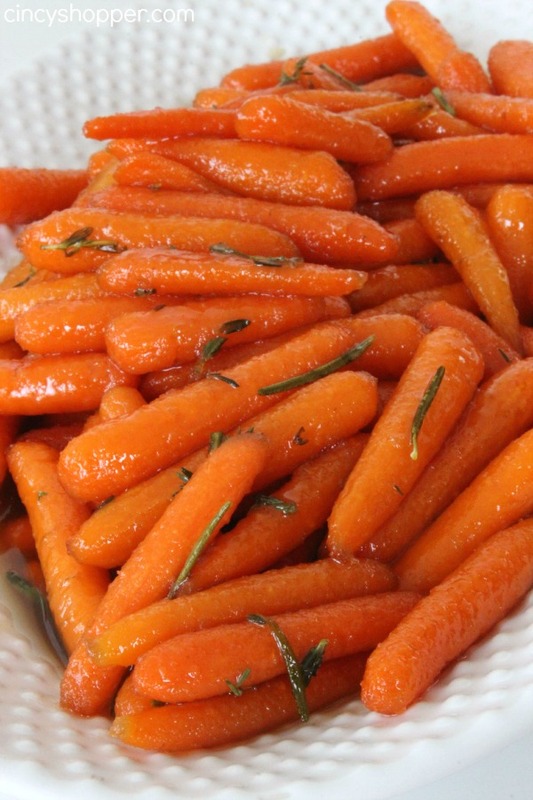 We have served it up at a couple of holiday dinners and the carrots are always the first side that gets polished off. 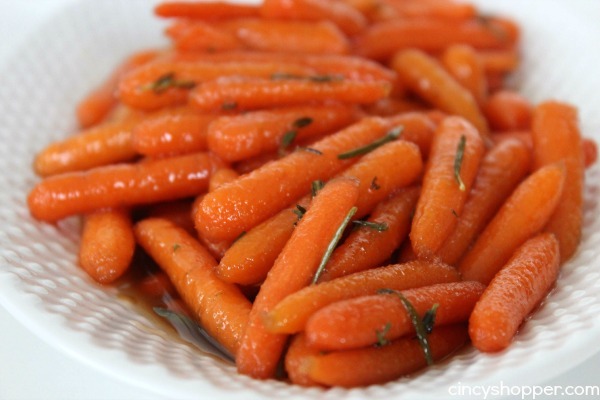 We will be serving up these tasty and easy carrots along with our Cranberry Apple Walnut Stuffing, Traditional Green Bean Casserole and our new No Thaw Turkey Recipe this Thanksgiving. I know they are going to be one of the favorite dishes we serve up. With just a few ingredients and only a few minutes of time you can have this super tasty Honey Glazed Carrots Recipe to serve up to your family and guests. The addition of the Rosemary and Thyme is not necessary but really adds an additional punch of flavor.